Sprinting is the world’s oldest motorsport discipline. The origins of sprinting can be traced back to humble beginnings in France, just over 100 years ago. Despite the passage of time, the central tenets of sprinting have stayed the same. The fastest car over a timed lap wins. Cars run one at time, accelerating from a standing start, around the designated course, before passing through a flying finish. Whilst there are road going classes, the world of sprinting attracts an incredible range of cars. From hot hatches to high out put single seaters – a sprint paddock contains them all. Each car has it’s own class, the beauty is that each machine is put to the test on the same ribbon of tarmac. The 2nd round of the Northern Ireland championship was held in the familiar surroundings of Kirkistown. If competitors needed an adrenaline pumping test, they got one. If you aren’t already aware, Kirkistown proudly brands itself as Ireland’s fastest circuit. This means there is no opportunity to ease off during a lap and no time to relax. Over 60 cars sat in the infield, ready to be unleashed. 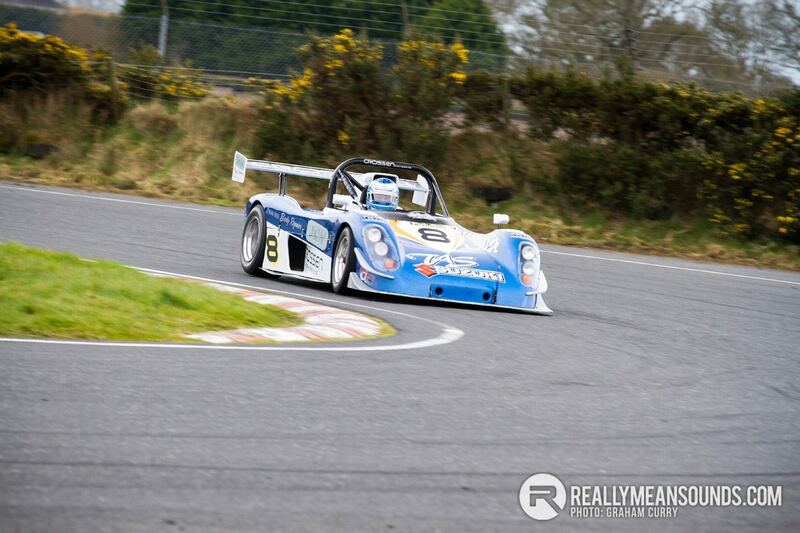 The fastest man of the meet was Gerrard O’Connell in the raucous Radical SR8. This astonishing machine has a superbike derived V8 engine that pushes out around 430 bhp and utilises cutting edge composite technology. It really is a mechanical masterpiece. The historic section road category is a total contrast to the manic unlimited or libre cars. This class tends to be dominated by the mighty Mini. The sight of this motoring icon cocking a wheel, scrabbling for grip and charging off into the distance is a still an enduring image. Elsewhere, Nissan and Subaru battled for roadgoing honours, alongside some of finest Eighties classics like the Rover SD1 and Porsche 944 Turbo. As a spectator experience, sprinting is fascinating. It provides an unrivaled high-octane mix of screaming race cars going toe to toe with intensely modified super saloons. Full results by class are available here.